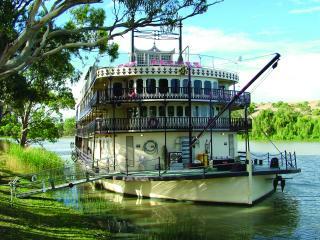 Cruise around the big river bends of the iconic Murray River onboard a scenic river cruise. Step back in time and visit historic ports and lush vineyards dotted along the beautiful river banks. Enjoy the unique experience of cruising onboard a traditional paddle steamer as you navigate this famous river and discover its distinctive wildlife and treasured ancient Indigenous culture. 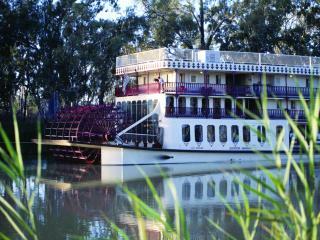 There's no better way to see the Murray than on the paddle wheeler PS Murray Princess. Experience indigenous culture up close with a visit to the Aboriginal Cultural Centre and backwater wildlife boat tour. Board the historic paddle wheeler PS Murray Princess and enjoy a unique cruising experience with nature based adventure. Marvel at the breathtaking landscape of cliffs, gorges and bio-diverse wetlands. 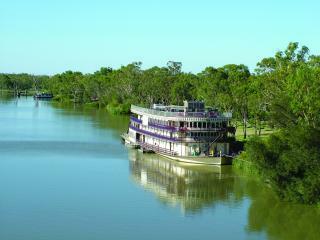 Enhance your Murray River experience with this all-inclusive 7 Night Murraylands & Wildlife Cruise. Sail onboard the traditional paddle wheeler PS Murray Princess for a unique way to cruise.